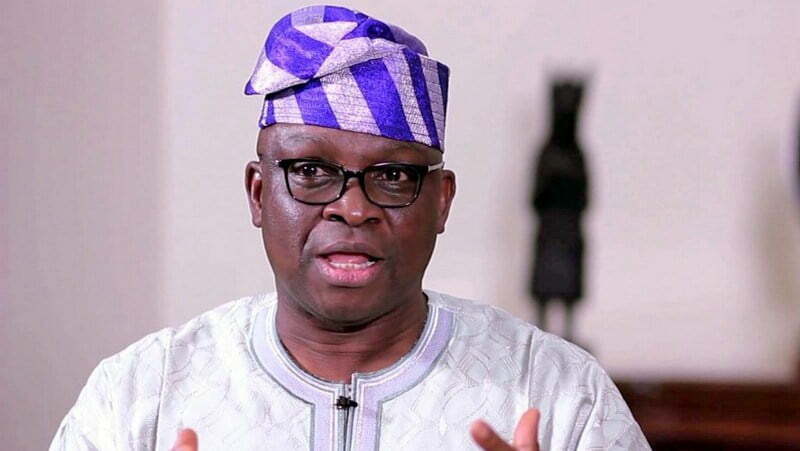 The immediate past governor of Ekiti State, Ayodele Fayose has reacted to issuance of the attestation of school result from the West African Examination Council, WAEC to President Muhammadu Buhari. DAILY POST recalls that Buhari had been under attack after he failed to submit his credentials to the Independent National Electoral Commission ahead of the 2019 elections. Buhari only submitted an affidavit wherein he claimed that his credentials were with the Secretary to the Military Board. However, Buhari on Friday received the attestation his school results from the West African Examination Council, WAEC, and displayed it online to Nigerians. This, however, did not douse doubts surrounding the certificate saga as some Nigerians queried the authenticity of the attestation. Fayose, on his part, questioned why it took so long for Buhari to receive the document. The former governor, while describing the controversy surrounding Buhariâ€™s WAEC certificate as embarrassment to the country, urged Nigerians to vote out the president in 2019. Fayose, on his Twitter page, wrote: â€œIf it was this easy to get WAEC to issue the â€œAttestation/Confirmation Certificate, why waiting this long? Why contesting four times without a single certificate? So when will the military produce the credentials that he claimed are with them? Many questions begging for answers. â€œMy consolation is that (provided they will allow votes to count) Nigerians will have the opportunity of ending this national embarrassment in four months time.